Geely’s New Energy Vehicle subsidiary is joining forces with VIA Motors to develop a medium-duty electric truck with Volvo range extender. Software and systems control will come from Via and the e-truck is to launch in China and the Americas by 2019. It is that software capability that led Geely to reach out to Via Motors. The company develops and markets extended-range and all-electric powertrain systems for most vehicle classes from light-duty through Class 8 already. VIA got production facilities in Utah and Mexico and provides a range of commercial vehicles to meet zero emissions requirements. Nathan Yu Ning, Geely’s Vice President of International Business wants to tap into that experience and believes “that range-extended hybrid drive systems are a leading technology for the next 5-10 years.” He also specified that the co-devloped truck will utilise technology that has been tried and tested such as a Volvo engine for the range extender. 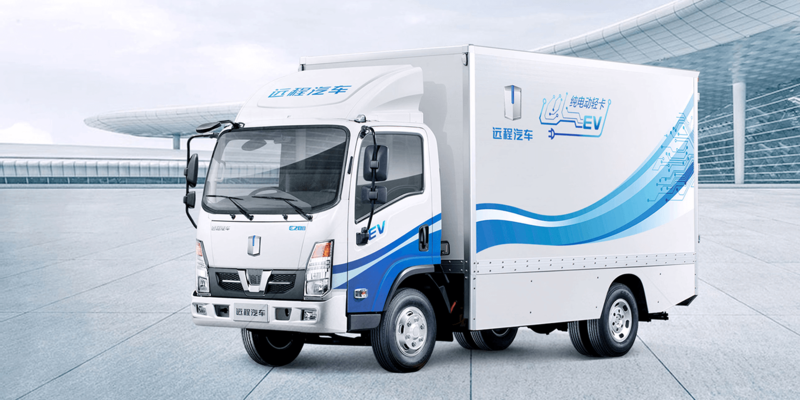 The electric truck shall hit the road in both North and Latin America as well as China through the newly formed joint venture Zhejiang Geely Commercial Vehicle (GCV). It is a subsidiary of Zhejiang Geely Holding Group (ZGH) that already owns Volvo and recently acquired a stake in Volvo Trucks as well. In Europe, Volvo Trucks will start selling electric trucks by 2019 reportedly, and the first units will be put into operation with select customers in 2018. Sales in North America depend on advancements in battery technology to accommodate for longer duty cycles and higher energy demands and the new medium-duty electric truck by Via may be seen as a bridge.